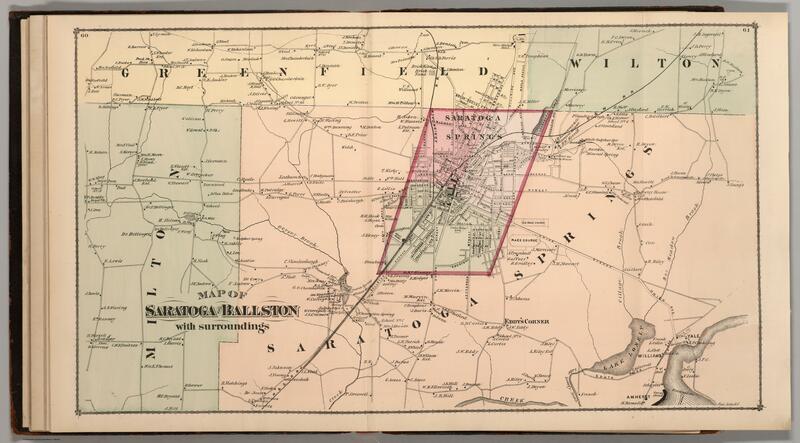 Combination Atlas Of Saratoga And Ballston From Recent And Actual Surveys And Records Under the Superintendence of F.W. Beers And Louis H. Cramer, Published By J.B. Beers & Co. 36 Vesey Street, New York. 1876. Entered ... 1876 by J.W. Beers & Co. ... Washington. Printed by Charles Hart, 36 Vesey St. N.Y. Engraved by L.E. 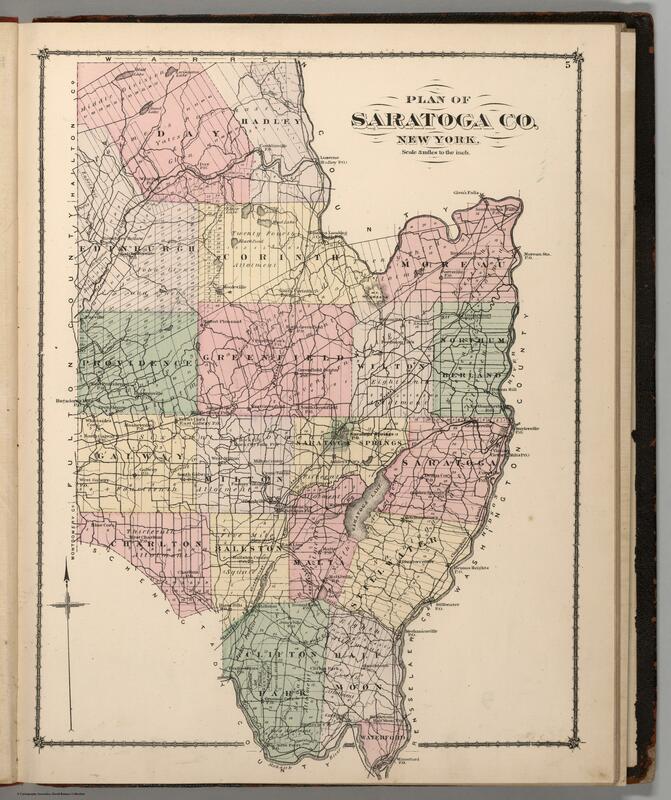 Neuman 36 Vesey St. N.Y.
Fee the Beers atlas of 1866 for earlier versions of city and area maps. 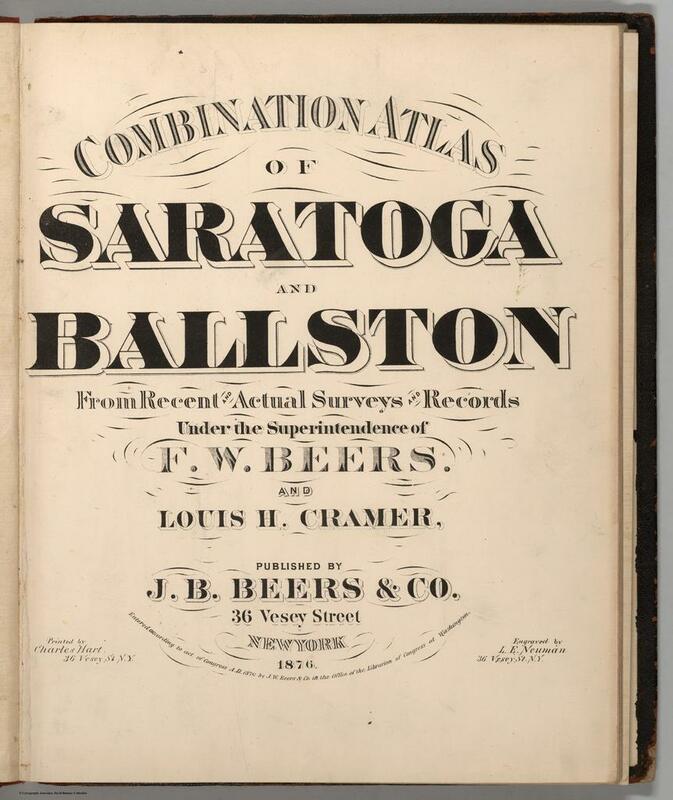 “Combination Atlas Of Saratoga And Ballston From Recent And Actual Surveys And Records Under the Superintendence of F.W. Beers And Louis H. Cramer, Published By J.B. Beers & Co. 36 Vesey Street, New York. 1876. Entered ... 1876 by J.W. Beers & Co. ... Washington. Printed by Charles Hart, 36 Vesey St. N.Y. Engraved by L.E. Neuman 36 Vesey St. N.Y. ,” Skidmore Saratoga Memory Project, accessed April 18, 2019, http://ssmp.skidmore.edu/document/162.